The importance of quality lumber wrap and print is understood at Flexpak. Printed lumber wrap is dependent on both the quality of plastic and the quality of print that meets the needs of the customer. 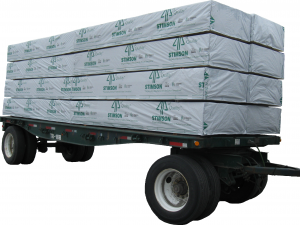 With four-color inline printing, printed rolls of lumber wrap are produced to establish an image of not only the product being transported but also the image of the company as a whole. Print repeat options can allow for a continual corporate logo printed along the package, and the sales department at Flexpak can work with any customer to develop a customized print. Printed lumber wrap is palletized with 12 rolls and is manufactured in standard lengths of 2000’. Customizing both widths and lengths of printed lumber wrap is an available option. More options with printed rolls of lumber wrap? Flexpak has the ability to customize packaging to fit the needs of the customer. Large printed lumber wrap is an option. See the railcar section to learn more about how a large print by rail or truck may be a cost effective solution to product protection and advertisement. While standard woven lumber wrap is usually printed with a one-color print, high graphic printing is possible and there are options available to create a high graphic packaging solution; see hybrid design for more information on possibilities for improving the printing options of lumber wrap. Please feel free to contact Flexpak at any point to discuss print options for lumber wrap and to receive more information on different packaging options for wood and lumber products. Printed rolls of woven lumber wrap are essential for companies producing high volumes of sawn wood and lumber products. 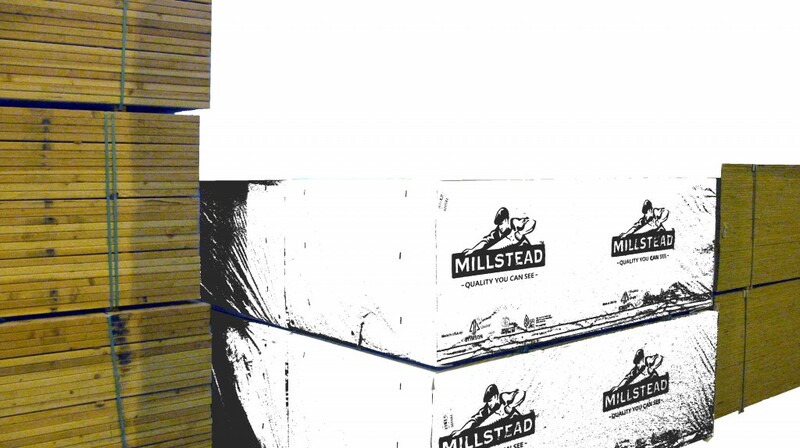 Printed lumber wrap is perfect for mass producing mills with end-line packaging stations of high speed or variable board lengths.